It's a pretty quiet election day in the Bay Area, with the exception of some hot button votes in the city of San Francisco. When voters cast their ballots on Tuesday, Mayor Ed Lee is expected to win re-election even as the San Francisco ballot reflects deep concern over the tech-driven development he's championed in his five years in office. Sheriff Ross Mirkarimi is also on the ballot, vying to hold onto his seat along with former interim sheriff Vicki Hennessey and business owner John Robinson. The ballot includes contentious citizen-backed initiatives to restrict Airbnb and other short-term rental platforms, and impose a freeze on luxury housing in the popular Mission District. Both are opposed by the mayor. 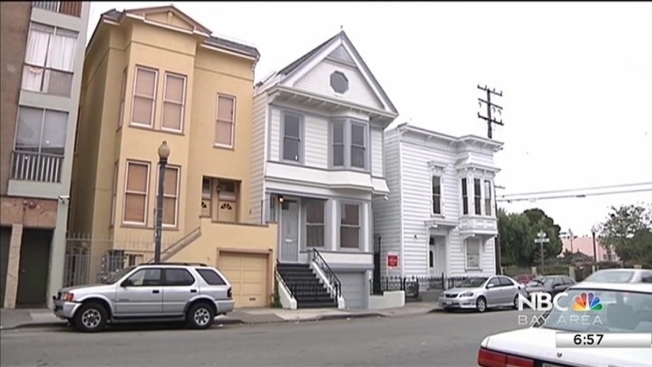 San Francisco has become a national symbol of income disparity as newcomers shell out $1 million to buy small, high-end condos while long-time tenants battle eviction. The ballot also features a widely supported $310 million bond for affordable housing that is backed by the mayor and tech titans such as Facebook founder Mark Zuckerberg. Voters last approved a housing bond in 1996, rejecting two others in 2002 and 2004. But in other counties, the poll booths will remain pretty quiet. In Santa Clara County, it's a consolidated election, where only the city of Los Altos, as well as the Orchard and Union School districts have issues to decide. Hercules voters in Contra Costa County are voting on a Measure B sales tax extension. There are some council races in Sonoma County. And in Marin County, there are some smaller school and council races in places including Novato and Mill Valley. In Alameda, Napa and Solano counties, there are no scheduled elections.